If you’re a fan of Payday candy bars then you’ll go NUTS for this Fast & Easy Copycat Payday Candy Bars recipe. After all, who doesn’t love payday?!! 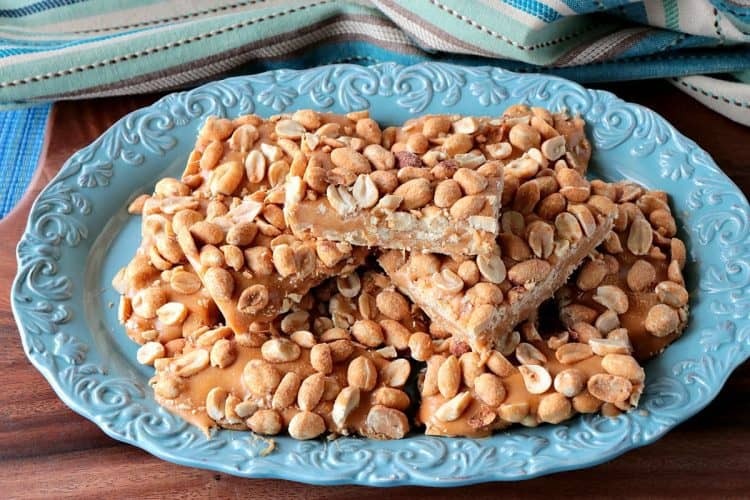 **Please Note – The printable recipe card with detailed instructions, complete ingredient measurements, and nutritional information for making Copycat Payday Candy Bars is available near the end of this post. I got this recipe years ago from my dear friend Pam. I recently found it while rummaging through my recipe file looking for something else. I’m so glad I noticed this recipe peeking out at me because this one truly tastes like the original Payday candy bar. 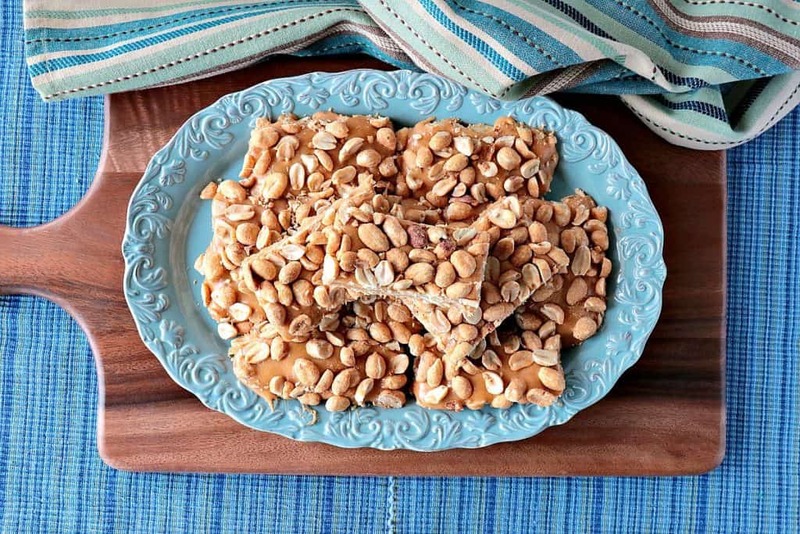 If you’re a nut lover (like me), you’ll love this one, and it will become a family favorite. Back in 2011 if you would have told me I’d be producing my own food videos, and that I’d have my own Kudos Kitchen food video channel on YouTube I would have literally laughed out loud. Fast forward 7 years, and I’m doing just that, and having a whole lot of fun in the process! From start to finish, it’s roughly 10-12 minutes. However, the candy will need to be refrigerated for up to 4 hours before slicing, so please plan accordingly. What if I’m allergic to peanuts, can I substitute another nut? Sure, but then it wouldn’t be a copycat Payday candy bar, would it? Spray a 9″ x 13″ baking dish liberally with baking spray. Layer one jar of the peanuts evenly in the bottom of the dish. Set aside. 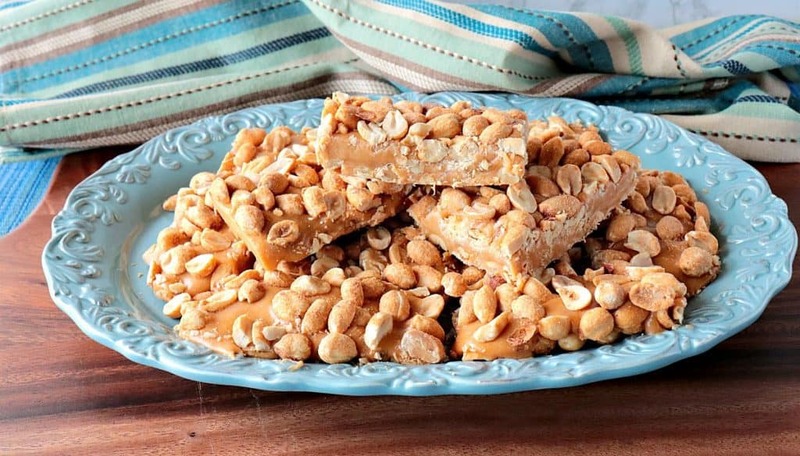 In a medium saucepan, melt the butter over medium/low heat and stir in the peanut butter chips, and sweetened condensed milk. Stir to melt, and combine. Remove from the heat and stir in the mini marshmallows, salt, and vanilla. Stir well to completely combine so there are no streaks of marshmallow. Slowly pour the marshmallow mixture in an even layer over the peanuts in the baking dish. Top the marshmallow mix evenly with the second jar of dry roasted peanuts. 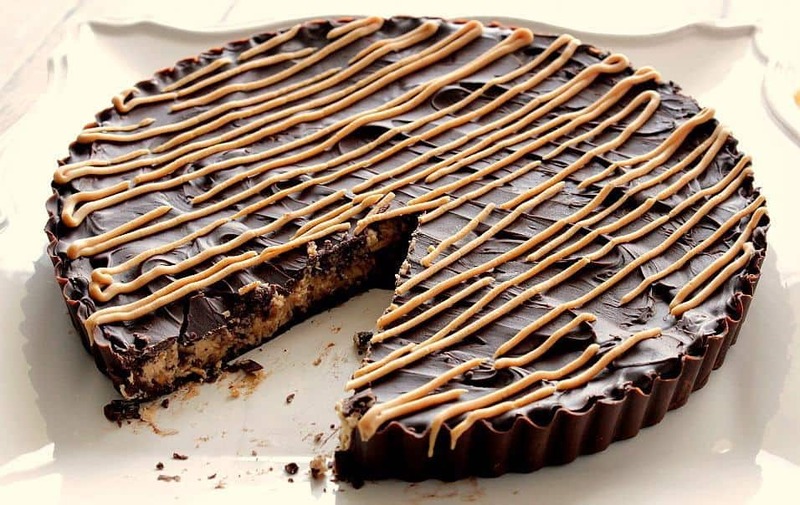 Refrigerate for 4 hours and then carefully slice the candy into bars before serving. Below is the printable recipe card for today’s Copycat Payday Candy Bars. 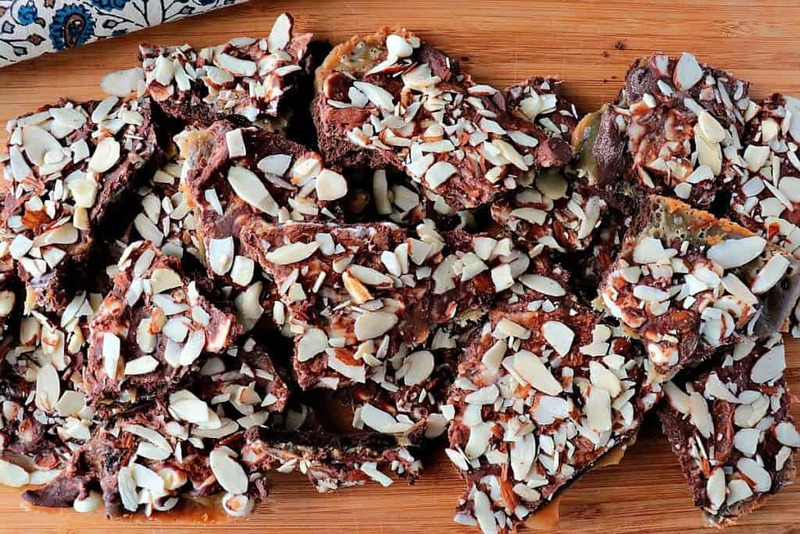 These Fast & Easy Copycat Payday Candy Bars taste just like the original. You're going to love them! Spray a 13" x 9" baking dish with baking spray. Add one jar of the dry roasted peanuts in an even layer in the bottom of the sprayed dish. Set aside. Add the marshmallows, sweetened condensed milk, and peanut butter chips to the saucepan and stir well. 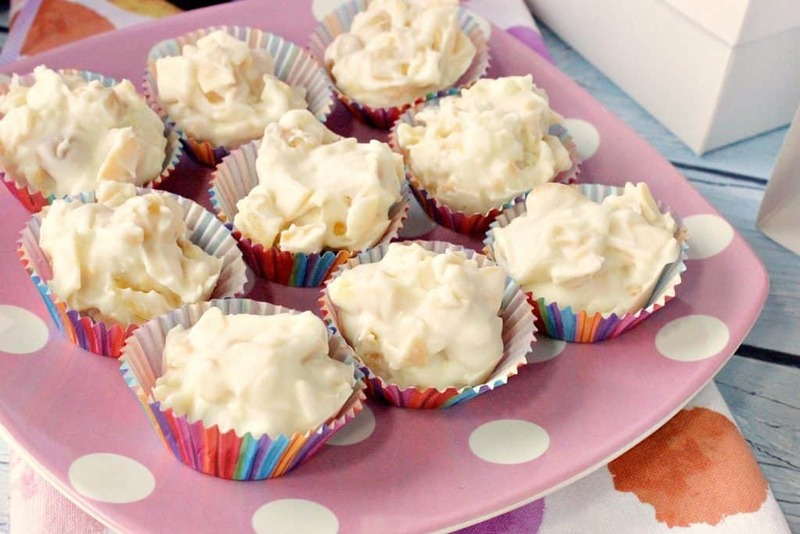 Continue cooking over the medium heat, stirring frequently, until the mixture is thoroughly blended and the marshmallows and peanut butter chips have melted. Remove from the heat and add the salt and vanilla extract. Stir well. Gently pour the marshmallow mix evenly over the peanut layer in the prepared pan, using a spatula to even out the marshmallow mixture if needed. 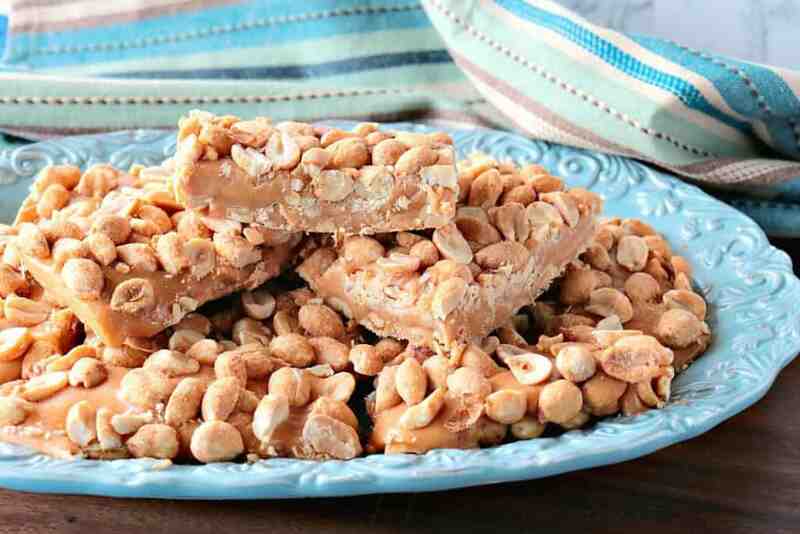 Sprinkle the remaining dry roasted peanuts over the marshmallow mixture, pressing them lightly into the filling. 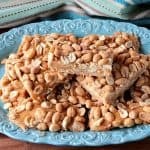 I sincerely hope you’ve enjoyed today’s recipe for Copycat Payday Candy Bars as much as I’ve enjoyed bringing it to you! I'll have to try this recipe! I'm guessing it's even better than the original Payday bars……yum! There's a reason you found this tucked away in your recipe box. It was meant to be shared with all your nut-loving readers. Looks wonderful. Thanks for sharing Renee! I love it when I'm reminded of a great recipe I haven't made in a long time. Looks luscious. Wishing you a new year filled with all you favorite things. omg i love these! is it ok if i include them in my jan 7, 2012 post for the "copycat club". see details on my blog! take care and happy new year. thank's for this sharing, this is very nice! These are my favorite candy bars!!! These bars look dangerously delicious! I am glad it makes a large batch, now I just hope I can make myself share! LOL! I know what you mean. Enjoy! When do you add the sweetened condensed milk. 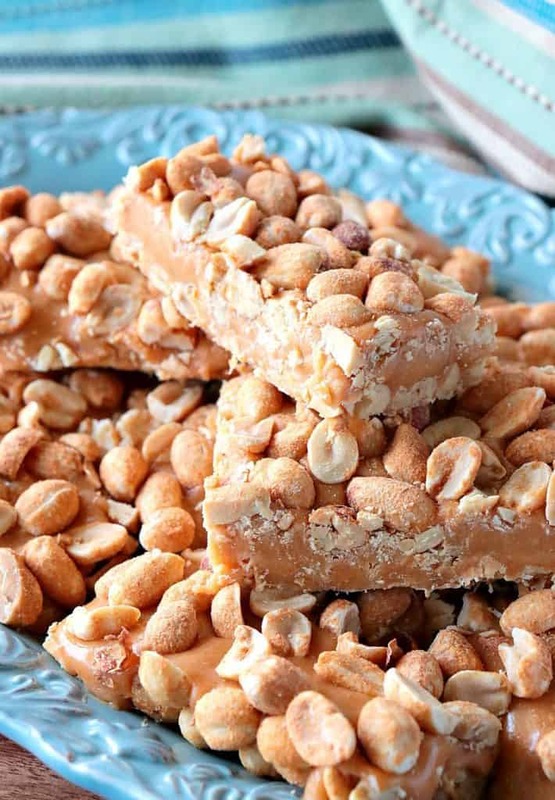 The sweetened condensed milk gets added with the peanut butter chips. I had that part in the photo tutorial, but in error had missed that in the recipe card. I’ve since edited the recipe. Thanks for catching my mistake.